Local artisan micro-distiller Turkey Shore Distilleries, makers of Old Ipswich Rum, garnered three medals at the American Distilling Institute's 9th Annual Craft Distilling Conference & Vendor Expo, held in early April, 2012 in Louisville, KY. Old Ipswich Tavern-Style Rum won a Gold Medal for Best of Class Rum category, the Gold Medal for Amber Rum, and the Old Ipswich White Cap Rum won a Bronze Medal in the Clear Rum category. Both spirits, handcrafted in small batches in Ipswich, MA, are available in liquor stores and restaurants in the greater Boston area and throughout Massachusetts. "It was the surprise of the show," said Mathew Perry, President and Founder of Turkey Shore Distilleries. "It's humbling to get this kind of recognition from our peers so early in our career. Our first product, White Cap, is a smooth white rum, with vanilla notes. With our Tavern-Style Rum, we set out to re-create a refined version of oak barrel-aged rum that was so popular in Colonial Days. We're proud to be part of the quality, hand-crafted spirits trend that is growing so fast locally in Massachusetts and across the nation." North Shore neighbor Ryan and Wood Distillery in Gloucester also won a Silver Medal in Amber Rum from ADI for its Folly Cove Rum. Buoyed by these accolades, Turkey Shore Distilleries has plans to continue to expand its presence in restaurants, bars and liquor stores through its partnerships with Merrimack Valley Distributors and Burke Distributing. 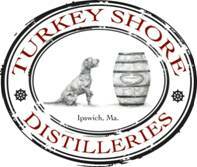 On May 5, 2012, the public is invited to attend Turkey Shore Distilleries' one-year Anniversary Celebration and Rum Release party from 1 p.m.-5 p.m. at its headquarters at 23 Hayward Street in Ipswich, MA. Click (here) for the Turkey Shore Distilleries website. 2 Response to "Congrats Turkey Shore Distilleries!! - 5/5"
Thanks Beantown Bloggery! We are very excited about sharing our passion for craft rum with more and more folks. Appreciate the shout out. Thanks Beantown Bloggery.We are very excited to share our passion for craft rum with more and more people. Thanks for the shout out and support.